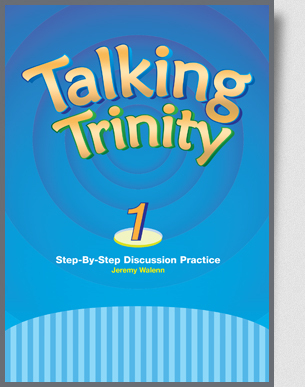 본 과정은 (주)이퓨처의 『 Easy Talking Trinity, Talking Trinity 』 시리즈를 교재로 채택하고 있으며, 총 3권으로 구성되어 있습니다. 교재 구입은 선택적이지만, 오디오 CD가 포함되어 있어 보다 효과적인 학습을 위해, 또는 필기 등 학습의 용이함을 위해서는 교재를 구입하셔서 학습하는 것이 좋습니다. 쉴 새 없이 영어로 말하자! 일상생활에서 사용되는 주요 어휘 및 표현을 학습한 후, 자신의 생각이나 의견을 제시하는 방법을 배우고, 이를 자연스럽게 토론으로 이어지게 하여 회화 실력을 더욱 탄탄하게 업그레이드시킬 수 있도록 마련된 과정입니다. 002 How Many Children Are There? 012 Do You Have a Computer? 014 Where Do You Live? 017 What Time Do You Get Up? 021 What's the Weather Like? 022 What Do You Study? 026 What Are They Doing? 051 Lesson 1: What Languages Do You Speak? 056 Lesson 5: What's the Rule?